The House of Dunkeld ended when Alexander III inadvertently tumbled over a cliff in the darkness and was followed to the grave shortly after by his young granddaughter and heiress, Margaret the 'Maid of Norway'. The death of the last surviving heir of Alexander III occasioned the Scottish Wars of Independence. During what has come to be known as the First Interregnum, one of the claimants to Scotland's disputed throne was John Balliol, who had the prior hereditary claim being descended from Margaret, eldest daughter of David, Earl of Huntingdon, the grandson of David I. In the male line the House of Balliol was of Norman descent, the family possessed estates in England from the reign of William II 'Rufus'. King John Balliol was placed on the Scottish throne by Edward I of England, intended as a puppet king, with himself controlling the strings. 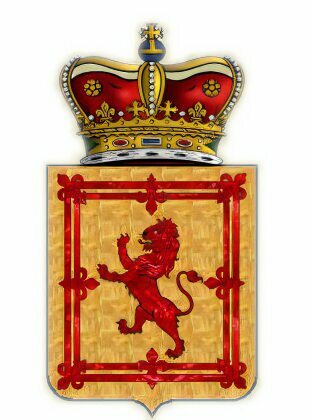 The short lived and unpopular Balliol dynasty was replaced by the House of Bruce on the abdication of King John, it was briefly reinstated with English aid in the person of John's son, Edward Balliol who reigned 1332-36 before the House of Bruce took back Scotland's throne. King Edward I of England's overbearing attempts to rule Scotland through a puppet king, John Balliol, resulted in the Scottish Wars of Independence, which saw the meteoric rise from obscurity of Scotland's most famous son, William Wallace.